As of 1860, the United States was an industrial laggard. Great Britain, France, and Germany each produced more goods than their transatlantic counterpart. By 1900, however, U.S. industrial production exceeded “the combined manufacture of its three main rivals.” Why, and with what consequences? Most textbooks provide at least a few glimpses of the transformation of the U.S. into a fossil-fueled nation: a photo of child laborers outside a Pennsylvania coal mine, a statistic on rising coal production, perhaps a brief mention of the Ludlow Massacre of 1914 (in which Colorado National Guardsmen killed 18 men, women, and children during a miners’ strike in southern Colorado). Aside from these disconnected tidbits, though, textbooks offer little insight into the profound historical significance of energy, nor do they provide a coherent interpretation of what the adoption of fossil fuels portended for the nation’s economy and environment. Well into the 1800s, the American economy was almost exclusively an organic economy, one in which people met their needs by harvesting energy and materials from the earth’s surface ecosystems. Food, fuel, shelter, motive power, clothing, and virtually every other necessity of life—Americans obtained all of these from plants, animals, falling rivers, and blowing winds. The growth potential of organic economies remained sharply constrained by the limited ability of people to tap into the sun’s energy through farms, windmills, waterwheels, and the like. By contrast, the new form of mineral-intensive economy pioneered in Britain during the late 1700s, and imitated in the U.S. and beyond in the centuries since, encountered no such limits. Instead of drawing upon limited flows of energy through surface ecosystems, mineral-intensive economies accessed much greater supplies of energy by extracting ancient stocks of energy from beneath the earth in the form of coal, petroleum, and natural gas. Fossil fuels essentially enabled Americans to harness the power of ancient suns. 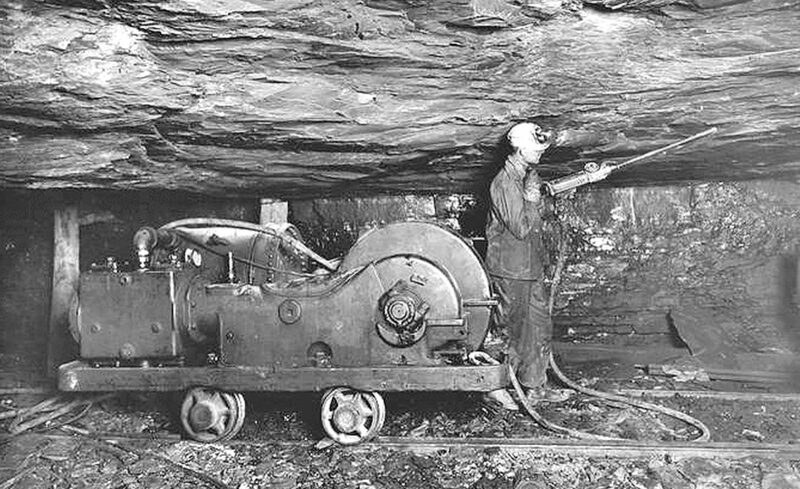 Coal-powered technologies magnified the strength, stamina, and precision of American workers, making the U.S. labor force the most productive in the world. Textbook discussions of American industrialization often begin with New England’s water-powered textile mills. By the 1830s, though, large-scale coal extraction had begun in Pennsylvania, Virginia, and beyond. Northern railroads and factories took the lead in replacing wood and water power with coal. By the 1860s, booming northern coal mines—the Union produced 38 times more coal than the Confederacy—and the war industries they fueled helped to give the Union a decisive material advantage. By the 1890s, the coal industry stretched from the Appalachian Mountains, across the Midwestern prairies, to the Cascades and Rockies, making the U.S. the largest coal producer in the world. More than 750,000 coal miners of every race and more than three dozen nationalities were digging and blasting upwards of 550 million tons of coal a year by the 1910s (a volume sufficient to cover the entire island of Manhattan with more than 21 feet of coal) (see Primary Source Coal Consumption ([1850-1900]). Where did the vast quantities of fossil fuel go? 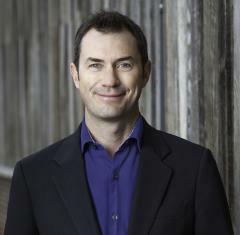 What changes did fossil fuels produce? Railroads and steamships burned vast quantities of coal, but they also hauled it to other consumers. Most major American industries—steel mills, textile factories, and so forth—thereafter began to use immense amounts of coal, either directly in steam engines and furnaces, or indirectly via electricity produced in coal-burning generating stations. America’s industrial ascendancy was an unmitigated disaster for the environment. In the countryside, coal-burning machines such as steam shovels, tractors, and dredges ripped into the earth, yielding short-term profits at the expense of soil erosion and other long-term problems. Cities and towns, meanwhile, were becoming notoriously polluted by fossil-fueled railroads, industries, and homes (see Primary Source Cincinnati Account  and Primary Source Pittsburgh Painting ). Coal’s impact was particularly dramatic in the industrial sector, but fossil fuels were also changing people’s domestic lives in important ways. Start with the electric- or cable-powered streetcars that Americans increasingly used to travel between work, home, downtown shopping districts, and peripheral amusement grounds. Then move to the houses and apartments in which Americans increasingly used coal for cooking and heating. Poorer folks were compelled to buy cheaper, dirtier coal, which they consumed directly, and wealthier folks increasingly enjoyed the benefits of coal-derived manufactured gas and electricity. Gas and electricity helped keep the homes of elite Americans clean, warm, and bright; at the same time, they fostered a dream of modern domesticity in which gas stoves, light bulbs, phonographs, telephones, radios, and other devices and appliances labored to cook, enlighten, entertain, and communicate. Yet the pipes and wires responsible for transmitting gas and electricity led back to plants and stations that polluted industrial districts and adjoining working-class neighborhoods. In this and other ways, working-class Americans of all races suffered disproportionate burdens in the new mineral-intensive economy. 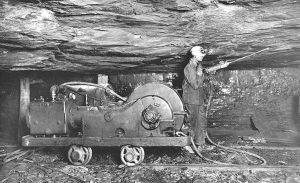 Fossil-fueled machines operated by unskilled or semi-skilled newcomers displaced skilled workers in many industries (with coal mining an ironic exception). Working people exerted less control over production than ever before; American labor leaders increasingly decried the degradation of work as all sorts of time-honored trades and occupations became obsolete. The coal-powered economy brought to bear much more energy than existing technologies could easily control. Many jobs consequently became exceedingly hazardous. By the early 20th century, tens of thousands of workers were dying every year on the railroads, in factories, and especially in coal mines, including many boys and adolescents (see Primary Source Jokerville Coal Mine Explosion  and Primary Source Breaker Boys at Work ). For each laborer killed directly, several were maimed, and several more found their lives shortened by coal dust, lead, and other poisons. Theoretically, workers should have earned higher wages as they became more productive. In reality, most employers resisted worker demands for higher pay, shorter hours, and better conditions with every tool at their disposal, including violence. Historian Walter Licht has identified “a direct connection between coal, mass industry, and the rise of the bureaucratic corporation.” No less direct a connection, however, linked mineral-intensive industrialization, labor conflict, and progressive reform. Coal-miners engaged in strikes more frequently than any other American workers. Because of this tradition of labor activism and the public concern it generated—concern amplified by the widespread though rarely articulated recognition that the nation had become utterly dependent on the coal that miners unearthed—the coal industry prompted heated public debates by the early 20th century and, eventually, a spate of new regulations and institutions. Both the vast new power and the vast new wealth Roosevelt decried traced their origins to coal. More than 100 years later, students need to learn that the dilemmas of our own fossil-fueled society have deeper roots than history textbooks manage to convey.